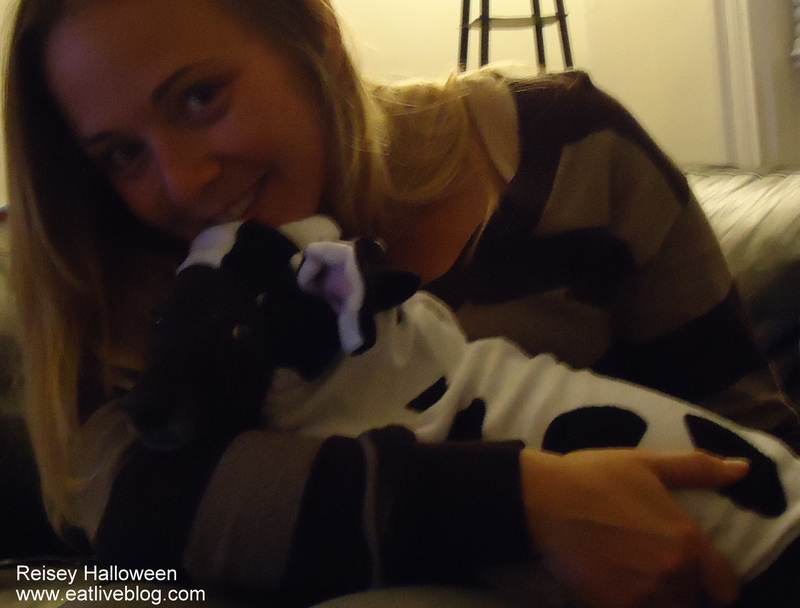 Reisey is a Cow – The Pup Does Halloween! When we first moved up north, we bought Reisey pajamas. I know, ridiculous. I mean, animals lived in the wild for millions of years before we came around and put pajamas on them! But this poor little girl starts shivering the second the temp goes below 60 degrees. Well, we soon discovered that as soon as you put pajamas, or any other wearable, on Reisey, she gets so embarrassed that she just comes and curls right up on your lap and hides her head in your arms. It really is the cutest thing you will ever see. "Let's get out there and get some candy!" 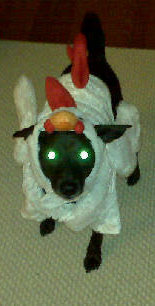 A special thank you to Petsmart for providing Reisey’s Halloween Costume this year! 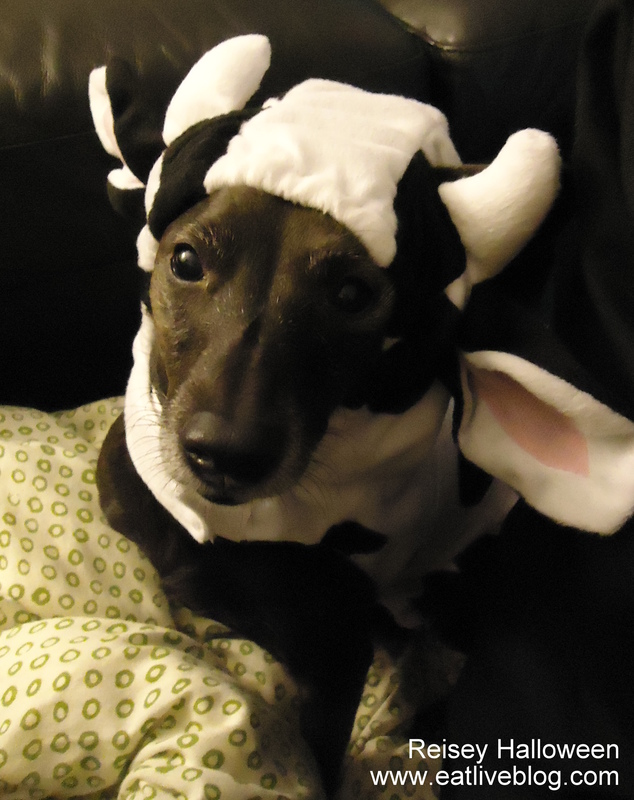 Do you dress your pet(s) up for Halloween? Congratulations to Ella who won our Halloween Pretzel Crisps giveaway! Have you entered to win $30 to spend at my favorite North End Eatery thanks to Eversave.com? Awww!! Love seeing your pup up here. 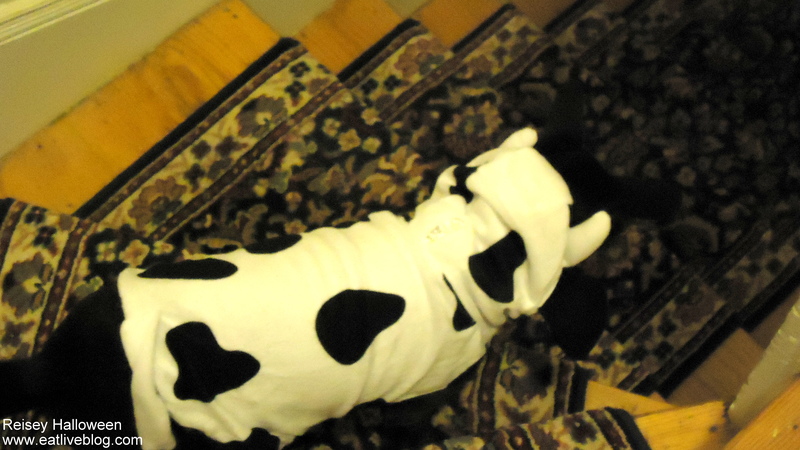 We dressed Sadie one year as a lady bug and then she promptly threw up on it. 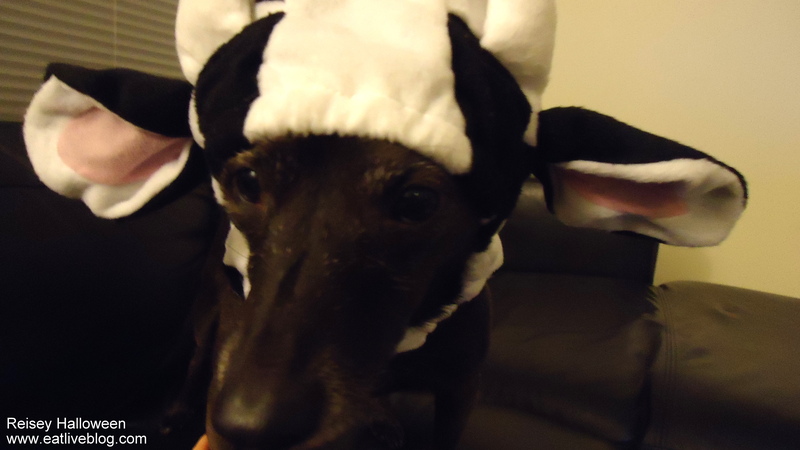 No idea why but That has since turned us off to dressing her up on Halloween. Maybe we’ll try again this year! Too cute!! We thought about dressing our dog up this year as an Ewok (she has the prefect face for it), but haven’t gotten her costume yet.